The second task in my 21 Daring Days writing challenge is to ‘tell a story about a book you’ve read at some point in your life that brought you to some kind of revelation or moment of insight’. 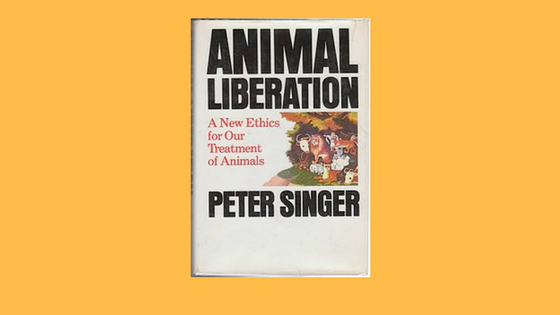 There were quite a few contenders, but I kept circling back to one book which did have a profound — and lasting — impact when I read it more than 30 years go: utilitarian philosopher Peter Singer’s classic, Animal Liberation. I can’t actually remember how I found Singer’s book, but I do know that I was already paying close attention to the politics and process of food production and animal testing. I was also well aware of the double standards in play when it comes to how we categorise animals, but it was something Peter Singer said in the preface to his first edition — the one I read back in the 80s — that absolutely hammered it home. He tells how he and his wife were invited to tea by a woman who wanted to introduce them to a friend who ‘loved animals’. This friend talked at length and with passion before pausing to eat a ham sandwich and going on to express surprise that the Singers had no pets. That story has always stayed with me — it’s one I’ve been known to quote — because it so perfectly encapsulates how as a species we label one type of animal ‘pet’, another type of animal ‘food’, and another ‘experimental’, and appear entirely comfortable with the gross and illogical inconsistencies that creates. 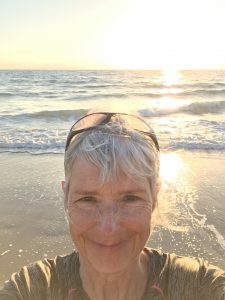 Animal Liberation didn’t change my mind about eating meat: from early childhood on I’d never liked it and from my late 20s on have been a veggie and occasional pescatarian — yes, my own double standards, of which I’m well aware. What the book did however do was answer a lot of questions and help separate out the ethics and logic from simple sentiment. Reading Singer again now, I’m struck by how little has fundamentally changed despite our much greater awareness of animal sentience and abuse — thanks in large measure to campaigning groups like PETA — and the growing number of people choosing to become vegetarian and vegan, particularly millennials. But for all that we may have tidied up at the edges of ‘animal welfare’, the fundamental belief that as humans we have the absolute right to exploit other species and treat them as commodities continues to go largely unchallenged and unremarked — often with horrific results, as secret filming last year in one of Belgium’s largest abattoirs confirmed. So, yes: a book of multiple moments of insight for me, a book that’s followed me for 30-plus years and will continue to do so, in my head and in my heart.